Get Up To 10% CashBack For Your Travels? Introducing The ShopBack Cashback Buddy! Many of you out there would have heard of ShopBack. It provides cash back on your purchases if you do a clickthrough to the merchant’s site via ShopBack. The portfolio of merchants included in their list is growing rapidly and spans across a variety of industries. Some of our favourite merchants range from travel companies such as Airbnb and Agoda to fashion shopping sites such as ASOS. Personally, I have found the cashback to be super attractive especially when I shop on ASOS because of the upsized cashback (usually 3.5% – 5% on ShopBack) on top of the ASOS site discount (up to 70%!). Time to start planning for the 2019 long weekend! This is a $20 dollar cashback on a $340 hotel transaction on Expedia, which translates into a 6% cashback! The problem here is that we can easily get carried away with buying a new pair of jeans or even big-ticket items such as plane tickets. As a result, we forget to click through to our shopping websites via ShopBack and as a result, there goes our cashback savings! HOWEVER, the good news is that Shopback has launched a web browser extension otherwise known as the CashBack Buddy. The ShopBack Browser Extension notifies you whenever you are on an online store that is eligible for Cashback from ShopBack. This reduces the problem of going back into ShopBack and ensuring that you clicked through to get to the merchant page for checkout. Click on the “Get Cashback” button to activate your Cashback. Cashback tracker is active when the ‘S’ logo is green. I’m sure everyone is aware of the upcoming Singles Day sale – which is one of the biggest online shopping event ever. What everyone also needs to be aware of is the fact that the ShopBack extension makes earning Cashback from Taobao that much easier. Without the extension, you will need to use the search bar on the Taobao page within ShopBack and then add to cart the items available in the search result presented to you. Then you will have to repeat those same steps. But with the extension, the search bar is embedded in the extension which means no need for you to alternate between the search bar within the Taobao page in ShopBack and the search results page in the Taobao website. So convenient! At the time of writing, I have tested and installed the Chrome extension of the CashBack Buddy. Once, I have fallen prey to the indulgence of online shopping and missed out on cashback, but once bitten, twice shy. Have you also been a victim of missing out on great cash savings? Perhaps it’s high time to download this awesome extension and pass on the good news! Making decisions on which credit card to use for your travel plans might not be straightforward due to different mileage earning programs for each credit card. What if there exists a way to get cashback for every amount you spent on your travel bookings done online? And that is on top of earning mileage with your bank’s credit card. ShopBack provides this fantastic option by giving you cashback and offers. If you guys are not aware of ShopBack, it has been featured on The Straits Times, Asiaone, and so on. To summarize it in a sentence, it is basically cashback on your purchases, be it a percentage or fixed amount, depending on merchants. This scheme is hugely popular in the US and UK where people make the most out of their purchases. ShopBack takes a commission out of your purchase from the merchant and gives it partially back to you, totally a win-win situation. People are usually skeptical (more prominent in Asia) or purely lazy sometimes , but this is totally legit and I don’t see why people should not be utilizing ShopBack to maximize your spending. It is free $$$! Cashing out is straightforward, select for it to go into your Paypal account or bank account. A while back, I wrote about how I singlehandedly hacked my way (still hacking) to my one-way ticket to New York City on Singapore Airlines via credit card promotions, that is certainly not a one day effort. I want my fellow travelers to benefit from each dollar spent because I know saving up for travels is never easy. You can deny yourself the chances to travel by not saving up but don’t deny yourself the chances to know about travel deals if you do save up. Sometimes, people are just lazy to think about how to do it or are simply unaware of such schemes. In this case, education and awareness kick in to allow people to know what is going on, which is why this blog exists. A little effort everyday reap the rewards later. Take the current promotion with Agoda for example, you get SGD 15 back for every hotel booking you make, a minimum of SGD 50 is required. In this case, it is a hefty 30% off! It is almost a “Stay 3 Get 1 Free” promotion. I know Agoda prices are not the cheapest of the lot, but I am sure the cashback will certainly make up for it. Another awesome deal I found on GroupOn is the current upsize promotion where you get 8% cashback for local deals and getaway, 7% for goods. Imagine that Batam deal at Montigo Resorts getting even better when you purchase on GroupOn through ShopBack! Here is a preview of the ongoing promotions for their travel category. We see some pretty big names here, don’t we? 1% cashback on Emirates and Qatar with no conditions attached. Why not? Certainly better than nothing. Big time favourites such as Zalora and Asos! Time to get your stuff for your winter vacation. Here an introductory video on how to earn cashback with ShopBack. Travel deals aside, ShopBack has great Black Friday and Cyber Monday deals coming up! Speaking of that, get a bonus $10 cashback on your first purchase with my link! 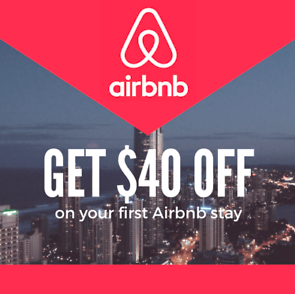 Save some money for your plane tickets or Airbnb!